Monster Girls Australia 2011 Launch Party @ The Melbourne F1 GP Monster knows how to party at the F1 races. Sit back and enjoy this video. Ride on board with some of the worlds best at the Kokanee Crankworx Festival in Whistler, Canada. 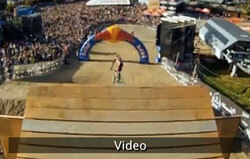 Check out this sikk video featuring Nate Adams. 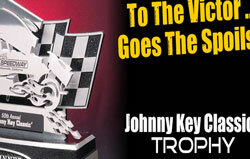 This clip highlights is training facility, his medal room, and his remarkable showing at X Games 17. Tune in for some sikk, breath-taking video. 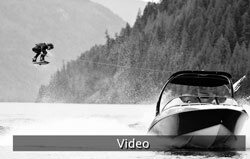 Watch Bob Soven, Shane Bonifay, Shawn Watson, Tom Fooshee, Kevin Henshaw, James Balzer and Melissa Marquardt ride British Colombia’s Shuswap Lake during Monster Energy’s 2011 Jamstockfest. A video salute to the best ever at Teahupo‘o. RIP Champ. Andy Irons funeral in Hawaii Andy Irons paddle out...celebration of life. 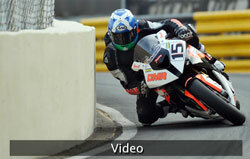 Great pics and video from the 2011 Isle of Man TT...PURE INSANITY!! !